Chinese manufacturer Huawei is considered a national security threat in the U.S., and its phones are not offered by any of the major U.S. wireless carriers. However, north of the border in Canada, Huawei handsets are sold by Bell Mobility and its Virgin Mobile Canada prepaid unit. Not only are some Canadian consumers concerned about the security aspects of owning a Huawei phone, many in the country are up in arms about the 13 Canadians that have been detained in China since the arrest in Vancouver last month of Huawei CFO Meng Wanzhou. 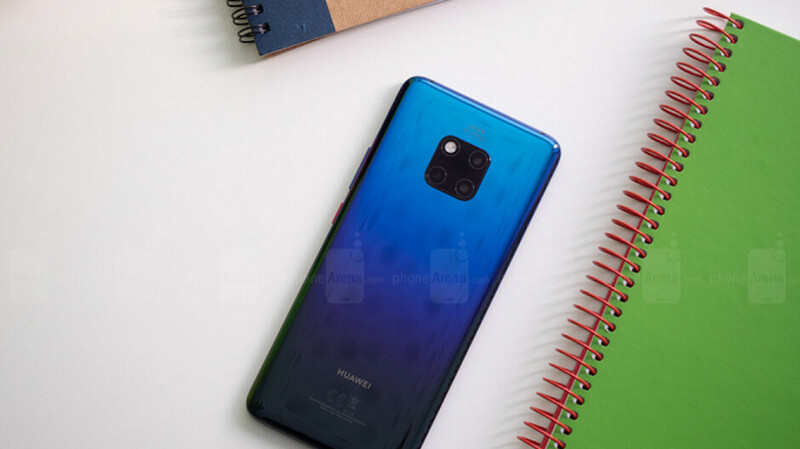 Even if Bell customers want to return their Huawei Mate 20 and Mate 20 Pro handsets out of protest or fear of being spied on, an internal Bell memo obtained by Mobile Syrup says that there are "no concerns with Huawei smartphones." The memo, dated January 19th, states that any consumers who want to return their Huawei phone must follow the carrier's regular policy. Bell allows a device in "like new" condition to be returned within 15 days after the "commitment start date" with the original receipt, all packaging, material and accessories. In addition, the phone cannot have been used "excessively" based on the carrier's policies. Bell isn't the only Canadian carrier that is currently doing business with Huawei. Telus, based in Vancouver, is using Huawei networking equipment for the 5G network that it is building despite warnings from U.S. lawmakers. Last week, an internal Telus memo praised Huawei as "a viable and reliable participant in the Canadian telecommunications space, bolstered by globally leading innovation, comprehensive security measures, and new software upgrades." The U.S. government worries that back doors in Huawei products spy on consumers and corporations, and send this data to the communist government in China. This has recently been denied by the company's founder Ren Zhengfei. I wish Rogers would carry the Mate 20 pro...I'd like to get a closer look at this thing. Show us some evidences please? I wish Huawei worked on T-Mobile USA cause I'd like to own one again. I have the Mate 20 Pro and I'm on T-Mobile. Works fine. No dropped calls, no lost text. The ONLY issue is that my internet speed usually tops out about 5 Mbps slower than my Samsung Galaxy S8+. It's pretty consistently slower. I'd highly recommend the phone though. The Camera is dope, and the lowest I've gotten my batter is around 40% using it all day. The best part is, within about 30 minutes it's back to full charge. Proof that CIA are spying globalt = Plenty. Proof that Huawei are spying at all = None. The US propaganda is worse than in any communist country. Imagine living in a world where speculation is considered higher than actual facts. Imagine living in a world where its been proven countless times that NSA and CIA have been spying even on its allies outside of USA. Yet the issue is Huawei which was never ever caught spying for China despite selling its network equipment for over a decade. Equipment that went under the microscope by possibly hundreds of spy agencies, governments and what so ever and never ever was there anything suspicious found. Let alone actual proof of Huawei spying. And all of this is exploding and going in ridiculous direction just when Trump became the president and started a trade war with China. The US is afraid of Huawei Overtaking them in the technology arena. They made the best phone of 2018. The US doesn't like that. Wrong....US is concerned at State sponsored theft of intellectual property being done by China not only in US but all around the world. Also, selling below cost in state owned companies to crush competition and create monopoly is not a good business practice. Probably the reason you can't even buy one small appliance for your home not made in china. There's some truth to that but the most important factors are overlooked. Read this short interview with Tim Cook.https://www.inc.com/glenn-leibowitz/apple-ceo-tim-cook-this-is-number-1-reason-we-make-iphones-in-china-its-not-what-you-think.html "The products we do require really advanced tooling, and the precision that you have to have, the tooling and working with the materials that we do are state of the art. And the tooling skill is very deep here. In the US you could have a meeting of tooling engineers and I'm not sure we could fill the room. In China you could fill multiple football fields." Cook credits China's vast supply of highly skilled vocational talent: "The vocational expertise is very very deep here, and I give the education system a lot of credit for continuing to push on that even when others were de-emphasizing vocational. Now I think many countries in the world have woke up and said this is a key thing and we've got to correct that. China called that right from the beginning." You don't need engineers to do assembly. Iphones just get assembled in China from equipment mostly manufactured in South Korea (OLED displays and battery etc), Japan (camera sensors and lens modules etc) and Taiwan (SOC's that include processors and LTE modems). Samsung has moved most of its phone assembly from China to Vietnam or India already. Just remember that majority of the most advanced tools and equipment used in medical field is still manufactured in Germany, US and Japan. I work in medical field so I know that. Either the companies are worried that their IP will be compromised, if they move production to China or they don't have faith in Chinese manufacturing in sensitive field like medical. If the US told me to stop using Apple products I will gladly oblige. The U. S. Is scared s---less that Huawei will have 5G infrastructure superiority and is using this "spying" accusation to prevent China from taking the driver's seat with this technology. We are a dying empire with noone to blame but ourselves. The whole China detaining Canadians propaganda is as B.S. as the whole Huawei spying for China accusation. The rate of China arresting Canadians since Canada detained Huawei's CFO have not increased. Tourists/foreigners and Chinese nationals alike are often arrested in China for drug and prostitution. The police often raid prostitution sites arresting customers of any nationality. In fact, the rate of the US detaining Canadians is much higher than China detaining Canadians. If US are incapable to detect any spying on Huawei 5G technology and theirs goverment are useless!